Do you want to become a data driven organisation, where everyone across the business has access to the data they need, when they need it, generating powerful insights at the moment of decision making, with the ability to dig deeper into relevant information? 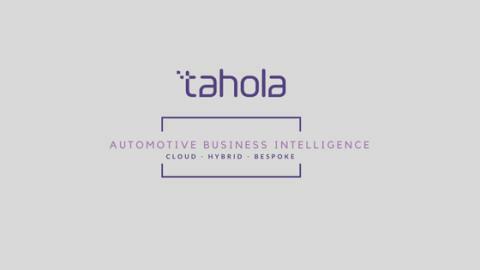 If the answer is 'YES', then you really need to contact Tahola for an initial consultation and we can demonstrate how you could adopt 'Self Service Analytics' as part of an end-to-end BI solution, that will open up a whole new world of data driven insights, taking your business to another level. We are data integration experts and the Tahola team know how to fashion your data in a way that allows you to detect the most valuable insights, helping you to improve business functions in ways you could only dream about. We can ensure that the right people have the right information, of the right quality, in the right format, at the right time, at the right cost. Johnsons Cars needed to bring together both financial and non financial data from multiple systems into a centralised hub for fast, easy and accurate reporting of KPIs and ROI across the business, we provided a solution to do exactly that. Tahola work with our customers not for them and so we never just simply deliver software, but we are dedicated to delivering solutions, solutions that add value to your business. 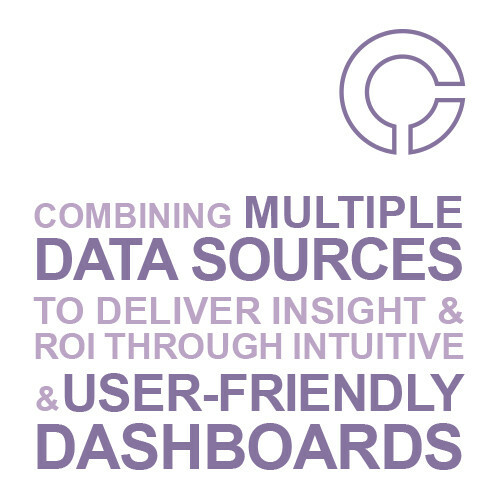 If you are looking to implement a successful BI and analytics solution to meet your specific business needs, then we are certain that we have the skills and expertise to help you achieve that. 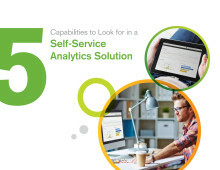 Would you like to find out more about 'Self Service Analytics' and how they drive data driven organisations? 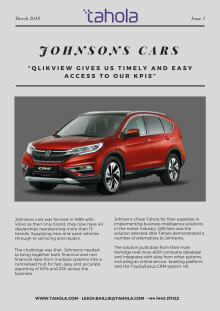 Johnsons Cars - "QlikView gives us timely and easy access to our KPIs"
Johnsons Cars has 31 dealerships throughout England, selling and servicing new and used cars across nine different brands. Johnsons' needed to bring together both financial and non financial data from multiple systems into a centralised hub for fast, easy and accurate reporting of KPIs and ROI across the business, Tahola provided the solutions to meet their needs.